Size of this preview: 643 × 599 pixels. Other resolutions: 258 × 240 pixels | 1,000 × 932 pixels. Figure 2 Simplified geological map of the Midland Valley of Scotland. 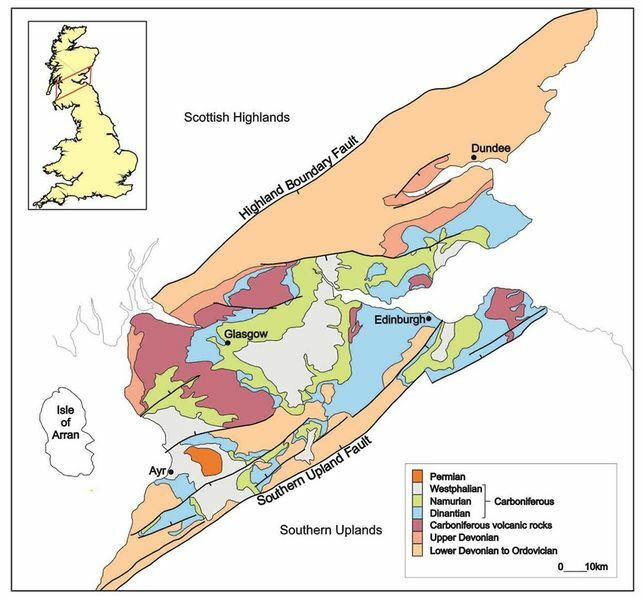 Geological faults are shown by a thick black line with a tick on the downthrown side (Source: BGS DiGMapGB data). current 10:53, 29 June 2016 1,000 × 932 (145 KB) Dbk (Talk | contribs) Figure 2 Simplified geological map of the Midland Valley of Scotland. Geological faults are shown by a thick black line with a tick on the downthrown side (Source: BGS DiGMapGB data). This page was last modified on 29 June 2016, at 10:53.